As an avid follower of all things Nintendo, you have no doubt heard that several sources have confirmed a Virtual Console service that supports GameCube games on the red giant’s upcoming console, the Nintendo Switch. 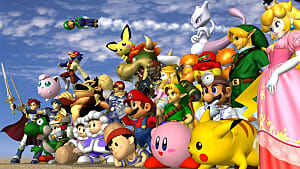 It has also been confirmed that some of these GameCube games are ready for the console hybrid’s launch: Super Mario Sunshine, Luigi’s Mansion and Super Smash Bros. Melee. And while none of this may be a stone-cold fact just yet, the details make it believable, and the games reported make it irresistible. Even more, I'm interested in having an impressive launch lineup of games for the Switch, even if Cube games are over a decade old. Apparently, NERD, the company that handled the emulation of games for the NES Classic Edition, is working on bringing GameCube games over to the Switch and that’s quite exciting, considering the amount of polish and accuracy that went into recreating those 30 classics for HD TVs. Ok. Now that we’ve boarded the hype train, thinking about our favorite games from the early 2000s reproduced with sharper edges and afforded portability, here are 7 Nintendo GameCube games that will make the Nintendo Switch an even more attractive buy. The grand tropical adventure must head off the list. 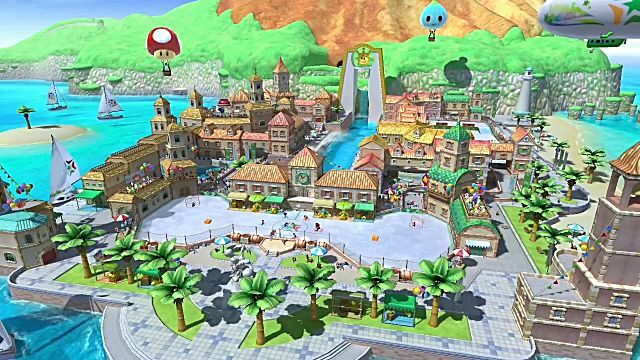 Not only is Super Mario Sunshine a fantastic take on a 3D Mario game, but its availability at launch would mean that the Switch ships with a triple-A Mario title. Say what you will about the unorthodox experience served by Super Mario Sunshine — a fat Italian plumber with a water gun tasked to remove paint from locales filled with overweight tree people — but it sure was a challenging and rewarding experience back on the GameCube. Super Mario Sunshine did more than just offer us tricky courses to complete — it equipped Mario with a game-changing weapon that had to be used for the duration of the game. And when Fludd was taken away, we were treated with some truly complex, one-shot platforming. For fans who have played the original, a Mario adventure like this is hard to refuse. 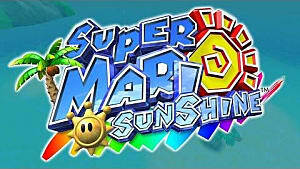 Super Mario Sunshine was the last 3D Mario game to release that offered complete freedom of control over the Nintendonian hero — for that, and all its kookiness, Super Mario Sunshine is deserving of a Virtual Console release on the Switch. If Mario adventures never lose their luster, Mario Kart games never lose replay value. 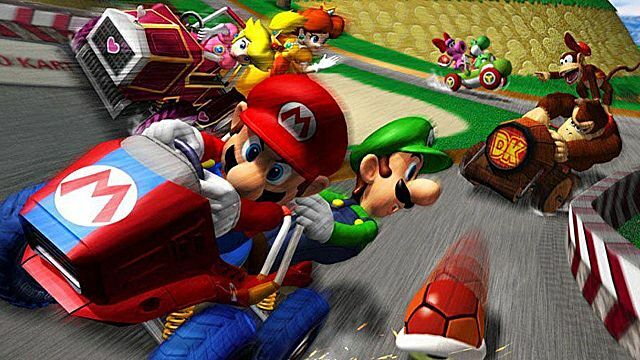 Mario Kart Double Dash offered hours upon hours of competitive fun. I recall playing the Bob-omb Blast mode religiously, and that was after tossing a few red shells in the Grand Prix modes. 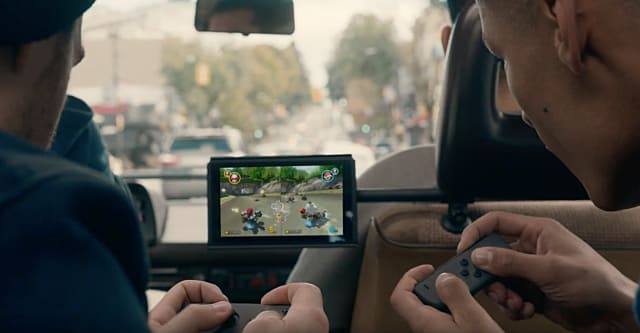 In the Switch reveal, a crew of friends are seen playing what looks to be Mario Kart 8 on their Switch, and if you look closely at their screen, you’ll notice that players are able to view two held-items at a time. Item queuing, a staple of previous titles that had been discarded from Mario kart 8, has been put back. For me, that is a nostalgic nod toward Mario Kart Double Dash, and a promising hint that past outings have a place on Nintendo's new console. The other important thing to ponder when drawing up a potential list of Virtual Console games for the Switch is that Nintendo will likely work to bring games that cast a wide net over a diverse group of gamers. 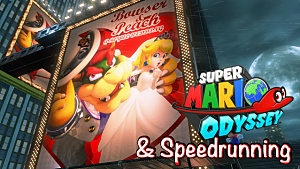 Mario Kart is one of those exciting party games that is beloved by gamers of all ages: it offers intense competition for those looking for it, and a casual experience for those who just want to duke it out with a group of friends. And don't forget the obvious — kart racers make for phenomenal portable experiences. I’ll see you on DK Mountain. Oh, how I wept when Mario Tennis: Ultra Smash released for the Wii U. 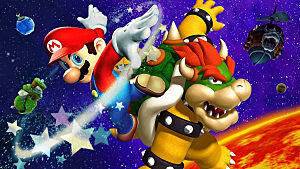 How could Nintendo make an unforced error with my most favorite of the Mario sports franchises? Mario Tennis: Ultra Smash had no dedicated single-player mode, few worthwhile minigames and worst of all, no character. Luckily, Super Mario Power Tennis corrects all of this — rather, it will retroactively. From its fun tournaments to its creative mini-games that have you lobbing and smashing tennis balls at ghosts or paintings of Mario’s face, to its character-specific defensive/offensive Power Shots, Mario's tennis experience on the GameCube was a well-rounded one. 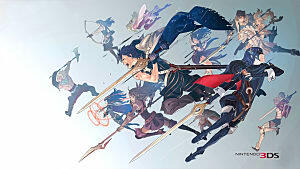 Once again we have a game that urges competitive play between friends and family, or while gaming alone. And though Mario Power Tennis has already been treated to a rerelease as a New Play Control game for the Wii, motion controls didn’t lend themselves well to a game so demanding of speed. Mario Power Tennis would be perfect as a game to play on the go because it's simple to understand, easy to play in short bursts and highly addictive when going head to head with friends. 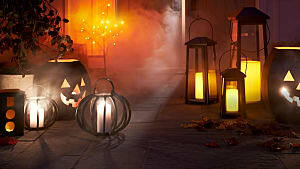 Luigi’s Mansion, though not remembered as the best of the best on GameCube, certainly harbors a following by fans who were eager to play as Mario’s left-out brother. The title was so endearing that it even spawned a sequel made for the Nintendo 3DS. And what a nostalgic feeling a release of Luigi’s Mansion on the Switch would bring: Luigi’s Mansion was the game that welcomed the GameCube when it first launched. I think it would make for an exciting day one to have a portable version of the ghost-sucking, Luigi-whining, puzzle-solving adventure. 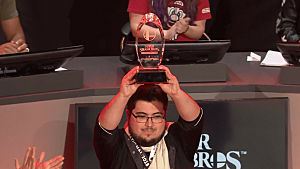 The Switch is, in fact, the first console after the purple cube to return to dedicated controls, instead of the motion devices used for the Wii and the barrage of control-method permutations accepted by the Wii U. Of course, you had to expect this one. Even though we were treated to a Wii trilogy of all three Prime games some years ago, a rerelease of the original would make it portable. And if you’ve been following, portability makes everything better. The option to take your space adventures with you somehow makes this version much more attractive than the hard-to-find Wii combination of Prime titles. 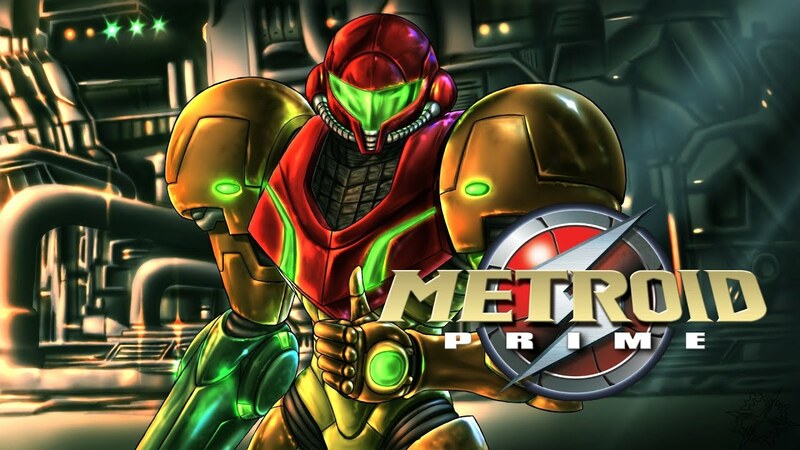 Metroid Prime is known for being one of the best games on the Nintendo GameCube. Not only were its atmosphere and graphics top notch, but the transition from a 2D playstyle to a full 3D explorative adventure worked seamlessly. 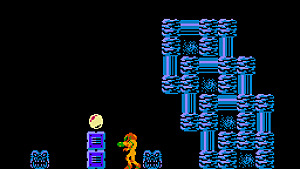 A surprise to many, the series has yet to meet its competition from subsequent games featuring the famous bounty hunter. And though the Prime games are all phenomenal, many would argue that the first is still the best. 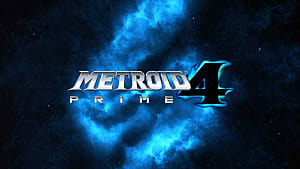 I’d love to see this title on the Switch, but if Nintendo instead decided to rerelease the entire Metroid Prime Trilogy — the one originally on Wii — with the motion controls stripped out, I wouldn't complain. For the final reported game in development for the Switch’s GameCube Virtual Console, we have the oft-touted sequel to Super Smash Bros. Continuing the theme of universal fun, both at home and on the go, I can see this title being a hit as a Virtual Console game. Like Mario kart games, any title in the Smash series has almost infinite replay value for any occasion. Many fans, myself included, favor the snappy controls offered by this Smash title compared with the others. And quick battles here and there make for a perfect experience to enjoy while commuting with friends or meeting at a local coffee shop. As seen in the portions of the Switch reveal that had competitors playing Splatoon, the Switch lends itself well to local play, and Super Smash Bros. Melee totally abides by that philosophy. While not all of the best GameCube Virtual Console suggestions have been offered here — there are many greats we'd love to see — several enticing experiences for launch day, reported and dreamt up, have been teased. Let's just hope most of, if not all of them, come to fruition. What Gamecube games would you love to see on the Nintendo Switch's Virtual Console? Sound off in the comments below! Rumor: Nintendo Switch To Offer Gamecube Games On Virtual Console?